The Big Game is just 4 days away. Imagine the loyalty that you would feel if you were drafted by an NFL team, and played there for the entirety of your 20-year Hall of Fame career. The team has retired your jersey number (78) and you are widely considered one of the best players to ever put on their uniform. You played with the franchise as it moved…twice. You are a key part of the history of a franchise that has been around since 1936. You were a member of the franchise’s trip to the Super Bowl in 1979 (a loss to the Steelers). The franchise has split 2 Super Bowl appearances since then, and is making their 4th trip to the Big Game. It makes sense that with your history and connection to the franchise, you would be excited to cheer them on to victory. 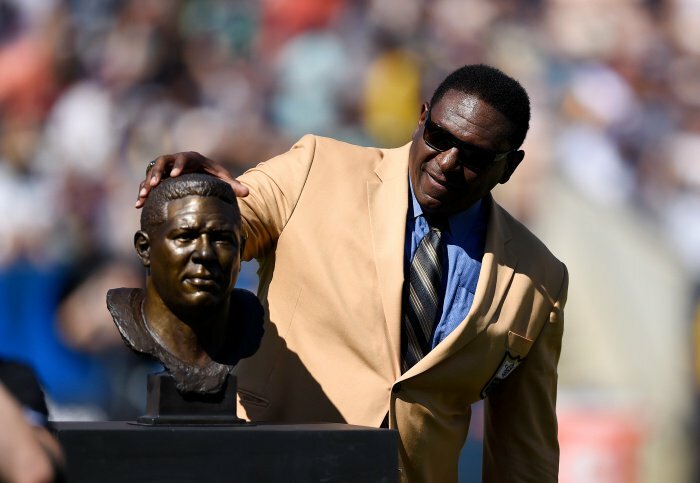 But for Jackie Slater, despite all the deep-rooted connections to the Rams, this Sunday at Super Bowl LIII, it isn’t a cinch that he’ll be cheering for the Rams to win. 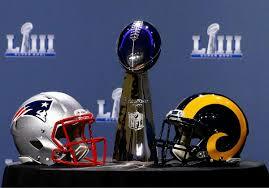 You see, Jackie’s son, Matthew is a special teams ace for the New England Patriots – the Rams opponent on Sunday. 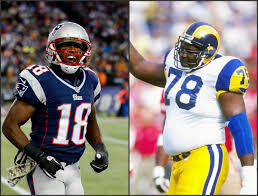 And for Jackie, blood lines run as strong if not stronger that his history with the Rams. But he sees the positive in it. He says “I can’t lose”. Their numbers are remarkably similar despite the opposite ends of the football spectrum that they play. Jackie was a big offensive lineman, playing every snap of every game. Matthew is officially a receiver but has caught only 1 pass and been targeted only 8 times in his 11 year career. Both have been to 7 Pro Bowls. Both have spent their entire career with the team that drafted them. They both have much sought after rings – albeit for different purposes. Matthew has 2 Super Bowl rings, Jackie has a Hall of Fame ring. There is another thing that they have in common, too – a deep-rooted faith in God. For Matthew, his greatest stage to share his faith has been his Super Bowl appearances (3 in a row now and 6 overall). Check out this video from Super Bowl LI Media Day. 1- In the end, it’s just a game – As I get older, I see the passion that fans carry for their favorite team. I know that I can get caught up in allowing my mood to be affected by the success of my favorite teams. This can be a heart-breaking habit to form. Because generally in sports, in any year, there is only one champion – the rest of the league ultimately is disappointed with how the season ends. And the fans tend to carry the burdens of success and loyalty more strongly than the players do. If a team fails to win, change is called for. If a player should leave one team and go to another, especially if it is a rival team, hatred and boos greet the player the next time he/she is in town. We can’t allow our identity or our mood to get wrapped up in something as trivial as a sports event or else we wind up in despair more often than not. Jackie will cheer on his son on Sunday, but both will use the opportunity to share what God has done. 2- More Important Things – I have often written on these pages the way pro athletes use the platform of fame and success to share their faith with the world. I appreciate that so many take that opportunity. I know that the stories of Christian Athletes and their boldness to share their faith were significant in my faith journey. God used their boldness to as part of His plan to draw me back to Him. And we can take the same challenge on, too. We may not have the media of the entire world putting a microphone in our faces and asking us about our faith, but we do have opportunities, every day, to shine the light of God’s love in the world around us. Join me in praying for those opportunities and for boldness to share our journey of faith. 3-Like Father Like Son – I love stories like this. They challenge me to consider the legacy that I leave for my own kids. Will they see the importance of faith in my life? Will they feel comfortable to ask me why I strive to value God above all? Will they understand grace even more when they see me stumble? Will they choose the adventure that God has in store for them? I pray that the answer is “Yes”.